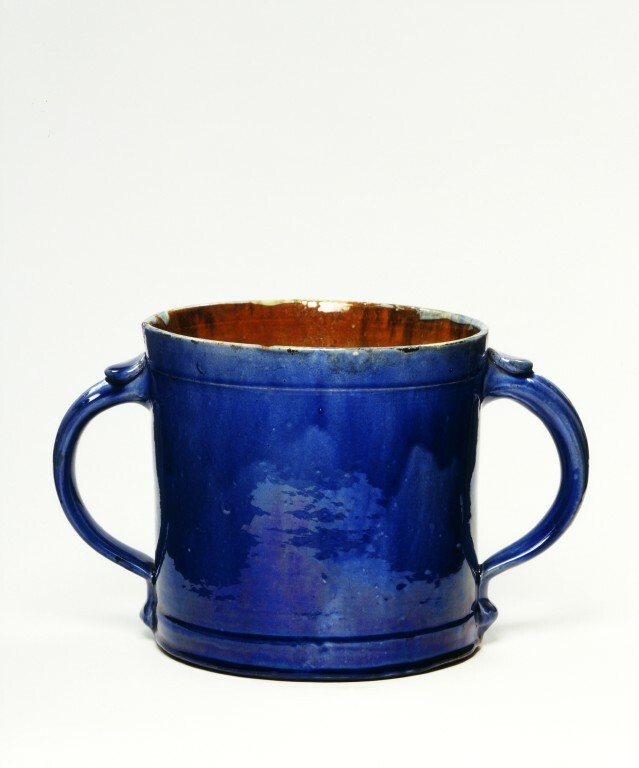 This generous-sized mug is a type known as a 'tyg', made in England from the 17th century. Tygs usually have two or four handles, but sometimes as many as eleven, arranged equidistantly around the body. They may also have several spouts, and be highly decorated with applied patterning and lettering. Tygs were traditionally associated with communal, celebratory drinking at weddings and harvest festivals. They may also have been used for warm spiced ale or posset in winter. The earliest-known dated tyg was made in the area around Wrotham, Kent. Country skills and cultural traditions, such as the making of tygs, were especially attractive to followers of the Arts and Crafts movement. 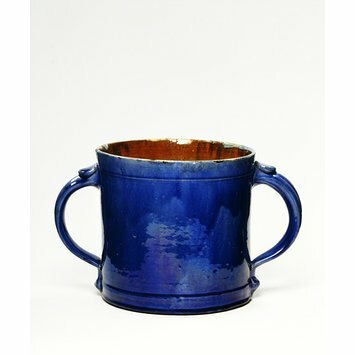 The maker of this mug, Edwin Beer Fishley (1832-1911), ran a family-owned pottery established at the end of the 18th century in Fremington, Devon. Using the local red clay and skills handed down through generations, Fishley made useful wares, sometimes highly decorated. However, he was aware of urban fashions and may have adapted fashionable forms and styles for his products to make them more saleable. He was also interested in using lustrous glazes, references to historic ceramics and new shapes.